Amman, Jordan. On Sunday 10 June 2018, The High Representative/Vice-President of the EU. 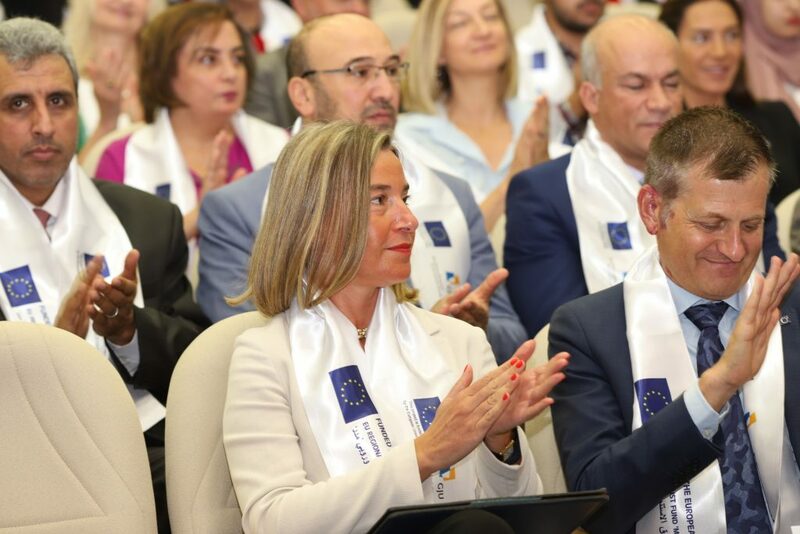 Federica Mogherini, visited the German Jordanian University to attend the recognition of achievement ceremony of the second batch of EDU-SYRIA graduates. 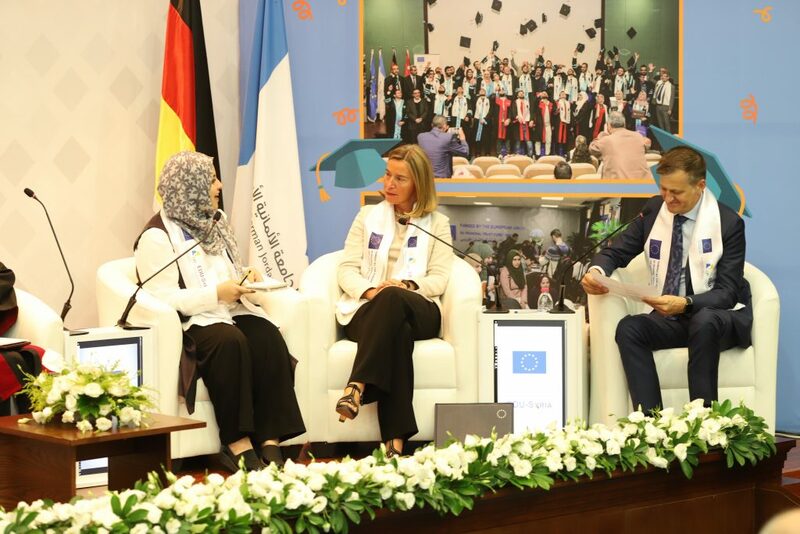 The HR/VP visit was accompanied by the EU Ambassador to Jordan Andrea Matteo Fontana, the German Ambassador Birgitta Siefker-Eberle, the representative of Ministry of Higher Education and the German Jordanian University president Prof. Manar Fayyad. 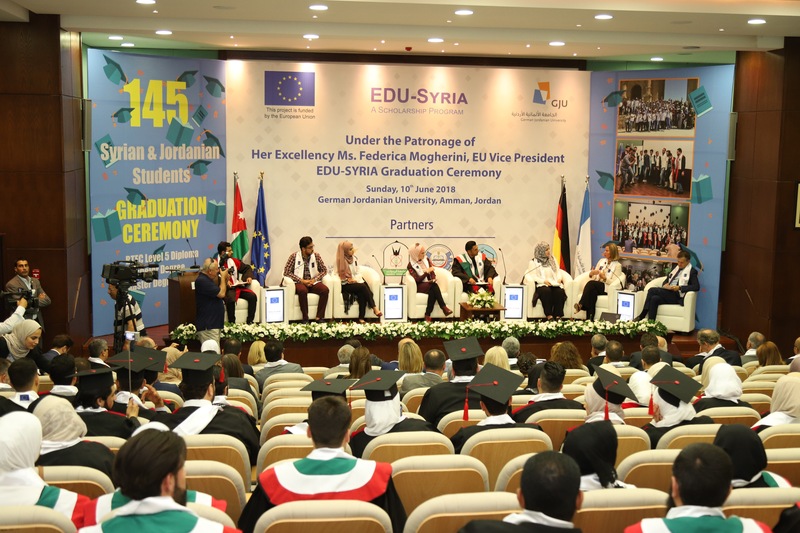 Today 145 Jordanian and Syrian students participated in the graduation ceremony of EDU-SYRIA. 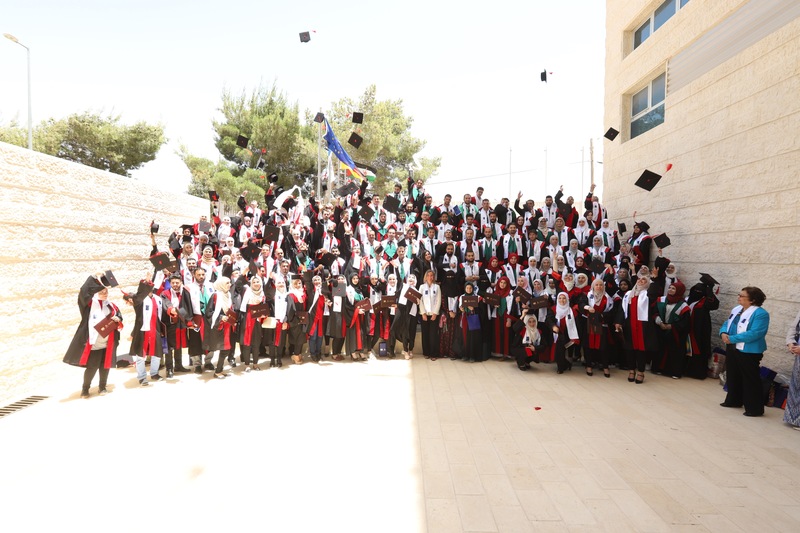 They represent different study levels on higher vocational, bachelor and master degree. During the graduation ceremony Ms. Mogherini engaged in a discussion with five vulnerable Jordanian and Syrian students under the EDU-Syria project (see below for more information) and two Jordanian students who studied in Europe through the EU funded Erasmus+ exchange program. The panel discussion focused on their studies and their career aspirations in Jordan and abroad as well as regional political topics. 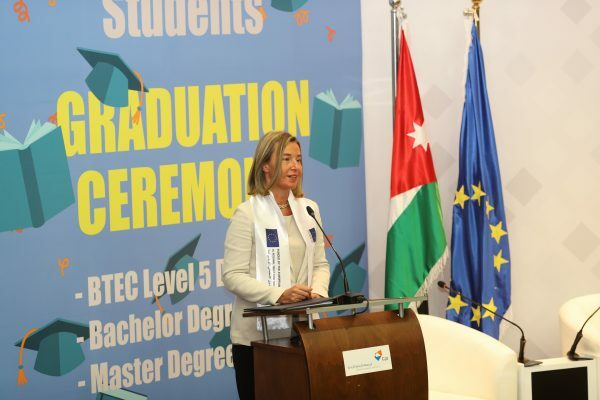 The meeting of HR/VP Mogherini with the students is in line with the EU focus on Education and Youth in Jordan.